Imagine wanting to cross at a traffic light and being unsure whether you have enough time as you might freeze? Imagine having involuntary tremors and being asked to leave a restaurant because people think you are drunk? Imagine your partner gets Parkinson’s disease, and you suddenly find yourself in a care-giving role. Your whole family dynamic is shaken. How do you cope? Parkinson’s disease is a neurodegenerative disease, which stems from a lack of dopamine production (the happy hormone). Common symptoms include problems initiating movements, freezing, and tremor. All too often, Parkinson’s leaves people feeling isolated, misunderstood and depressed, limited by a body that no longer functions as it once did. But what if there were a supportive community where you can be yourself, where you are accepted, and where you can regain a sense of control over your body through movement and music? 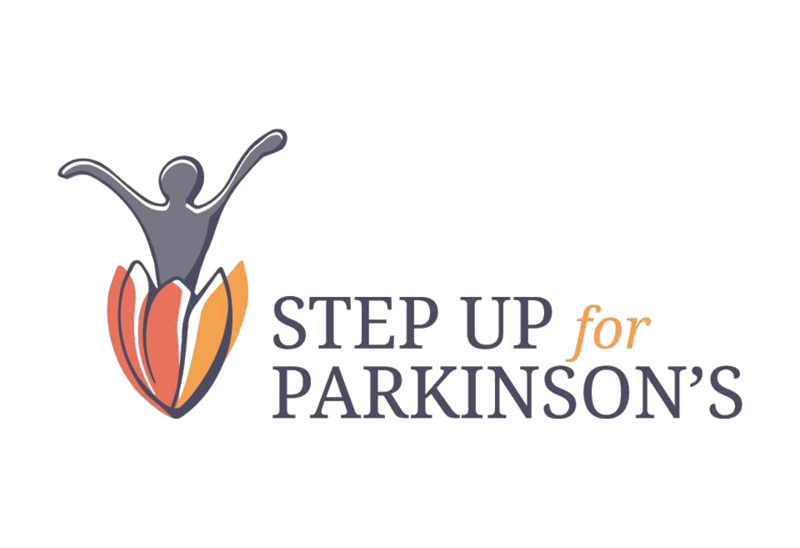 Step up for Parkinson’s is a voluntary organization that offers free specialized movement classes to people with Parkinson’s disease and their caregivers. We offer these classes for free as we strongly believe that everyone, regardless of their financial situation, should have the opportunity to improve their quality of life. Over the past decade numerous case studies have shown that specialized movement classes improve the balance and motor skills of Parkinson’s sufferers, alleviating feelings of isolation and depression and increasing the overall well-being of people with Parkinson’s and their caregivers. Step up for Parkinson’s is not just an organization. We are a family, a support system: we care for each other and we motivate each other. Step up for Parkinson’s provides a place in the community for those with Parkinson’s, as well as spouses, family members and friends, to connect and reconnect. Do these classes really make a difference? Step up for Parkinson’s classes started in 2017 with 8 participants. Today we run 6 classes a week in 5 different locations all across Malta. We now swerve 170 participants, with an average of 25 people per class. But despite this success, there is still a long way to go: there are a total of 1415 people registered with Parkinson’s disease in Malta. Typically, each of these people will have at least one primary caregiver. That means there are at least 3000 people living with Parkinson’s disease in Malta today. So, whilst we have grown enormously over the past 2 years, these numbers show that we still have many more people to reach! It is clear that our classes have improved the quality of the lives of our participants. Not only do we see it, but so do the family members and neurologists. Indeed, our classes have been endorsed by Dr. Norbert Vella, the Head of Neurology at Mater Dei Hospital. Dr. Vella himself, along with several other neurologists in Malta, frequently refer patients to our classes as they have seen first-hand the marked improvements our participants make. It is important to stress that these improvements are not only physical but also psychological and social. Natalie Muschamp is the Founder and Chairperson of Step up for Parkinson’s and she campaigns tirelessly to promote the therapeutic benefits of dance and movement for Parkinson’s sufferers. Dance is in Natalie’s blood: she has been performing and studying dance her whole life. In 2016, following a successful career as a professional dancer, she decided she wanted to give something back and channel her passion for dance into helping others. With this goal in mind, she enrolled at the University of Malta and completed a BA (Hons) degree in Dance Studies. It was during the course of that degree that she became aware of the pioneering work of the New York-based Dance for PD programme. Parkinson’s had already touched Natalie’s family: her aunt had walked a pilgrimage from Amsterdam to Rome in order to raise money for the Dutch Parkinson’s Foundation after losing her partner to the disease. Natalie immediately realised that she could make a difference, and from that point forward she dedicated herself to improving the quality of life of Parkinson’s sufferers and their caregivers through the power of dance, movement and community. In 2017, with the help of her sister Rachelle Muschamp, and her best friend Ezgi Harmanci, she founded Step up for Parkinson’s, receiving funding from the Malta Community Chest Fund to host two classes for two years. The classes were an instant success and the organization grew rapidly to cater for the high demand for classes. In 2018 they won second prize at the Malta Social Impact Awards in recognition of the achievements of the organization. Besides teaching classes and being the driving force behind the day-to-day running of Step up for Parkinson’s, Natalie is currently reading for a Masters in Dance. Her research focuses on the impact movement classes have on the quality of life of Parkinson’s sufferers and their caregivers. In April 2018 the organization grew further, taking on board Cassandra Straub in the role of Secretary and as one of the teachers. Cassandra has a wealth of experience teaching dance and holds a degree in Dance Studies. She is now reading for a Masters in Entrepreneurship with the aim of helping the organization achieve long-term fincancial sustainability. Since joining Step up for Parkinson’s, Cassandra has been a huge support to Natalie and together they have achieved many milestones and are determined to continue helping more people in Malta and Gozo. Our team of teachers is made up of 13 qualified, motivated and passionate instructors. Each teacher has either a background as a dance professional or is a health practitioner who has undergone specialized training in order to teach these classes. Indeed, training is on-going, ensuring that Step up for Parkinson’s continues to offer the best possible service. We passionately believe that these classes should be accessible to everyone regardless of their financial status. They must, in other words, always remain free to the participants. This is why we need YOUR help. We are growing rapidly, and we need to extend our service to 4 more locations in Malta and Gozo in order to reach more people that would benefit from our help and support. 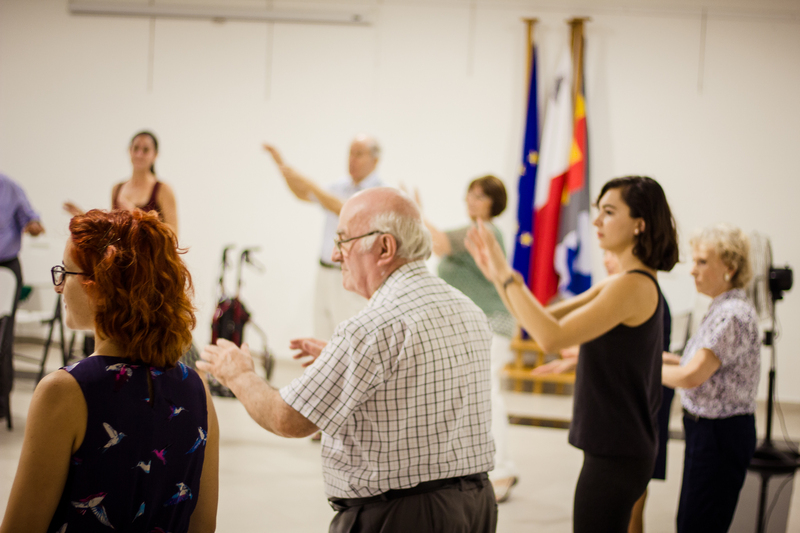 Please help us in our mission to raise 10000 euros so that we can offer at least two more classes for a single YEAR, starting as of June 2019. The initial 10000 will cover 2 new class locations, but ultimately we would like to set up 4 new classes. Any additional funds will go towards the following 2 locations to be set up in September 2019, as well as contributing to improved transportation methods for our participants. 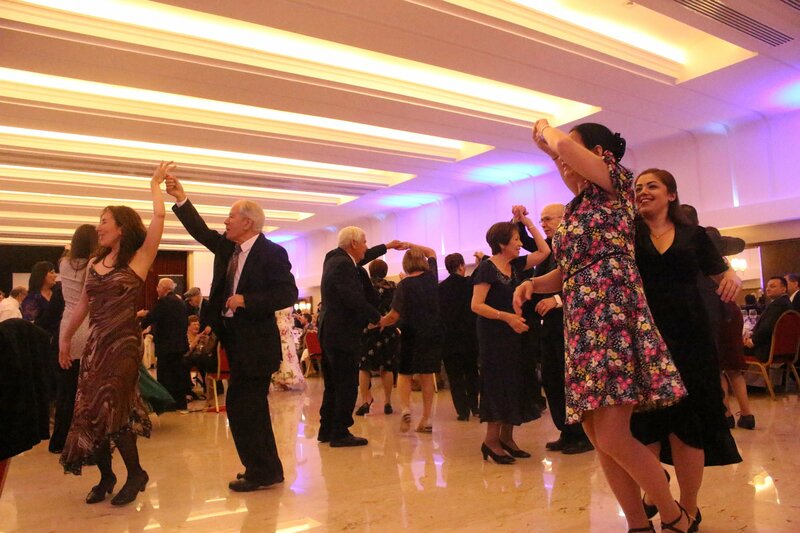 Where and When will the Fundraising Gala take place? When can we expect our reward? How will my reward be delivered? Physical rewards will be sent via post, digital rewards via social media and our website, and corporate sponsorship specific to the agreement made. When can I expect my logo and thank you to be on your social media? Each donation will be correlated with supporting a specific location. The next time that we post from that specified location (which you can decide per your request which location you would like to be associated with) your mention will be given. When will my Thank You video be posted? Thank you, videos will be posted once per day, following the Gala Event until the final donor has had their video shared. This will be shared in order of donation given. Step Up for Parkinson’s: An Extra Boost! Step Up for Parkinson’s: Every Bit Helps! Thank you Certificate as a token of our appreciation! Limit: 0 of 15 taken. 1 Class for over 1 Month! Limit: 1 of 3 taken. Contribution Level	 Every Bit Helps!An Extra Boost!That's Another Class!Super Supporter!Corporate Contribution1 Class for over 1 Month!Silver Sponsor!Gold Sponsor!